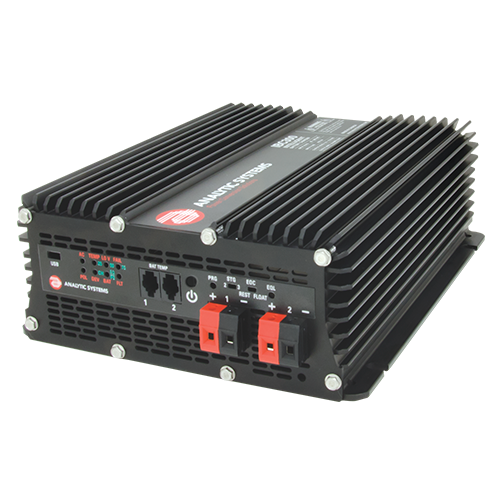 The IBC series chargers are fully Digital Signal Processor controlled and feature Universal Input Voltage from 85 to 265 VAC at 50 or 60 Hz with Active Power Factor Correction for the most efficient use of AC power. Four charging profiles are available with easy front panel selection to handle most types of batteries from traditional Lead Acid, Sealed Lead Acid and even Lithium Ion. The free to download ‘Power Wizard’ software allows full programming and selection of each of the four profiles from a laptop computer. 300 and 1000 Watt models for 1 or 2 banks of 12, 24, 28, 32, 36 or 48 Volt batteries. 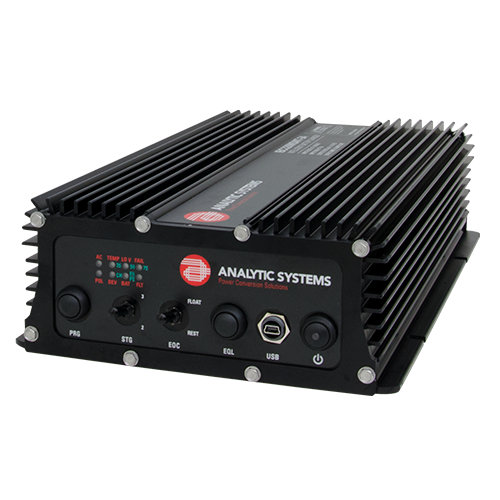 IBC320MW model available with MIL connectors, extra input and output filtering and sealed to IP66.